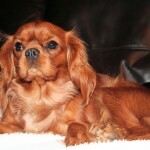 Attractive though the breed is, for most pet owners the main reason for choosing a Cavalier is their nature as much as their appearance. 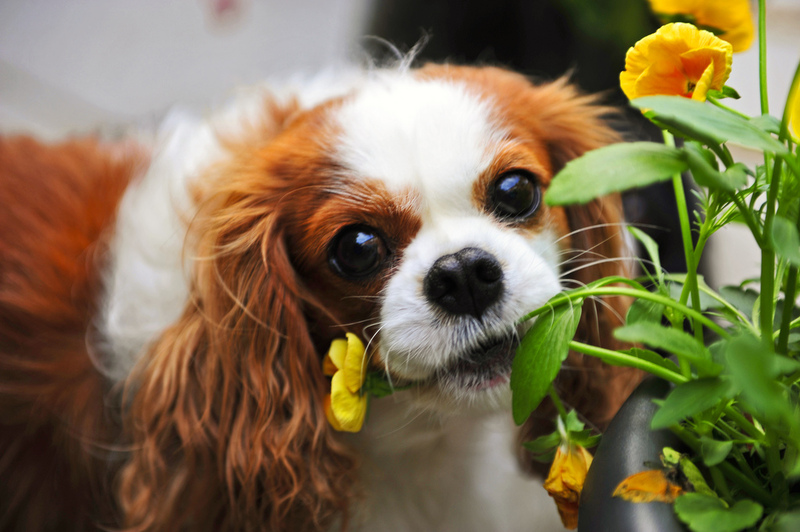 A healthy Cavalier is affectionate, loveable and gentle, although they can also be a lively companion dog and enjoy a good walk. 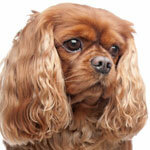 They also can be responsive to training and learn well, enjoying the interaction with their owners. 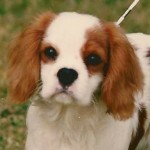 What does a Cavalier look like? The Kennel Club has guidelines, called Breed Standards, that give a picture of how an ideal dog of every breed should look and behave, but it is worth remembering that many breeds have changed substantially over time, so no description of any breed can be taken as definitive. 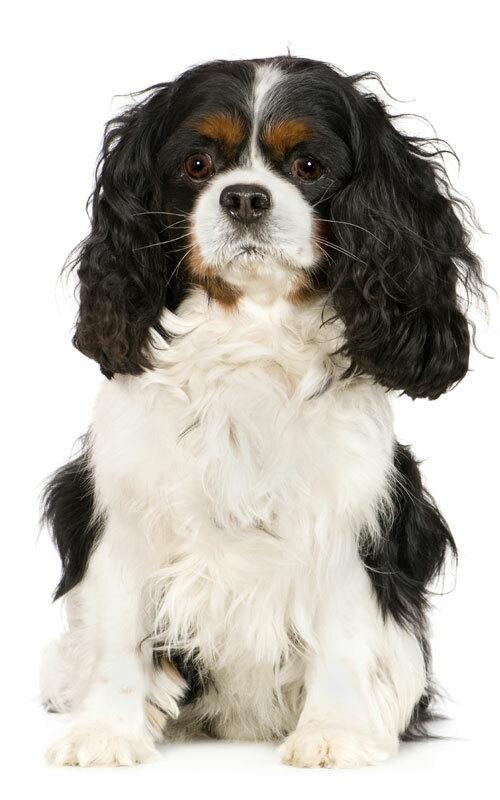 The Breed Standard for Cavaliers says that among other traits a Cavalier should be active & graceful with a gentle expression. 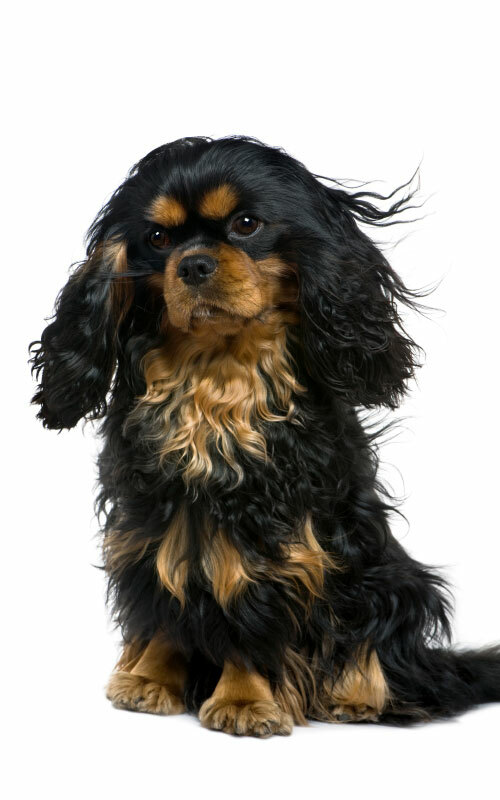 They should be affectionate and friendly and their coat should be long and silky. 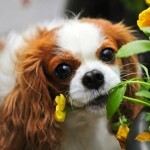 The Cavalier should be a small dog, weighing between 5.4-8.2 kgs (12-18lbs). This description is the ideal according to the Kennel Club. 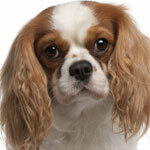 However, as all pet Cavalier owners know, the appearance of the breed can actually vary quite a lot. 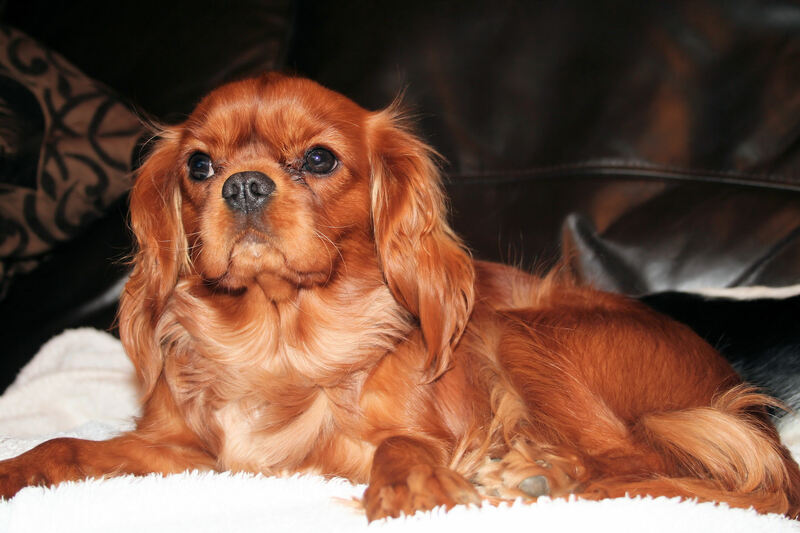 The size of a pet Cavalier can be anything up to about 12kg or more and although the colours will be roughly as described, the markings can be quite different from those seen in the show ring. 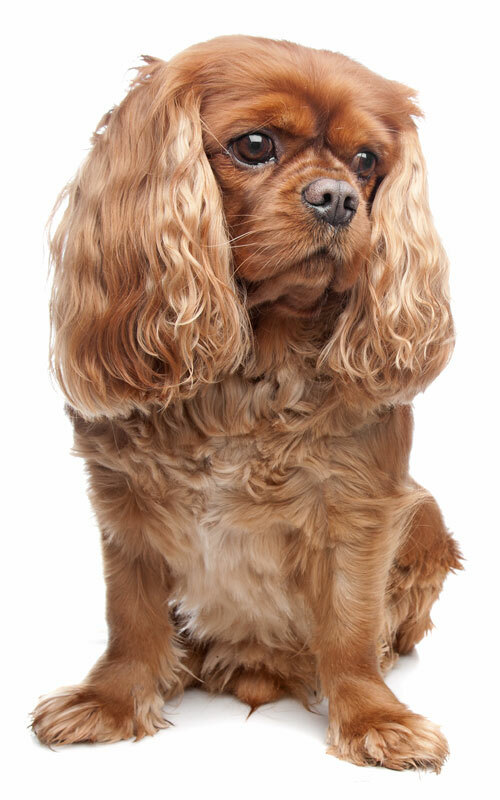 Many of our dogs may not make it in the show ring, but are clearly identifiable as Cavaliers to any dog lover – just a bit bigger or with not just quite the right markings or head shape! We hope to have more pictures of the dogs of our members in the future to illustrate this! 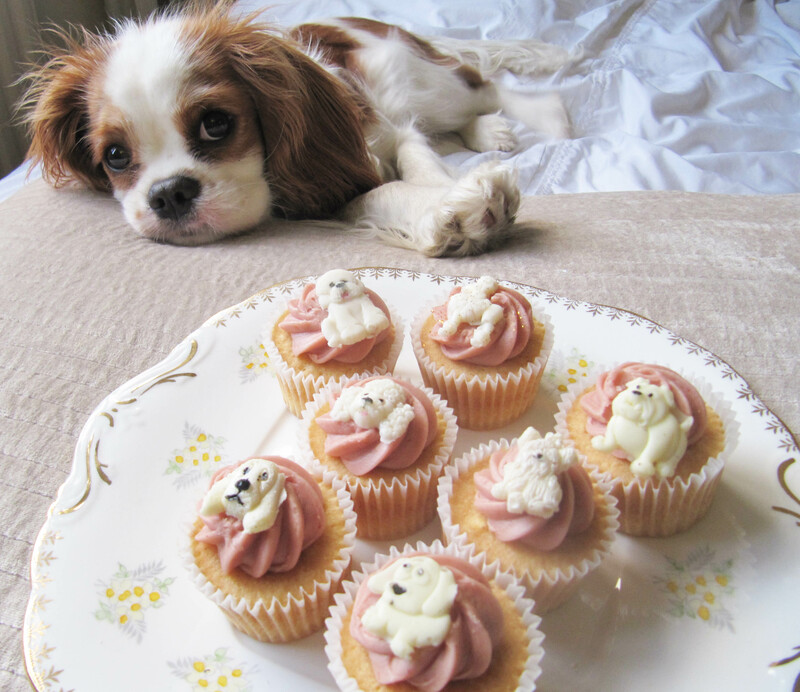 Most Cavaliers love their food so owners do have to make sure that, whatever size they are, they remain a healthy weight, especially if they have health problems. Raven black with tan markings above the eyes, on cheeks, inside ears, on chest and legs and underside of tail. 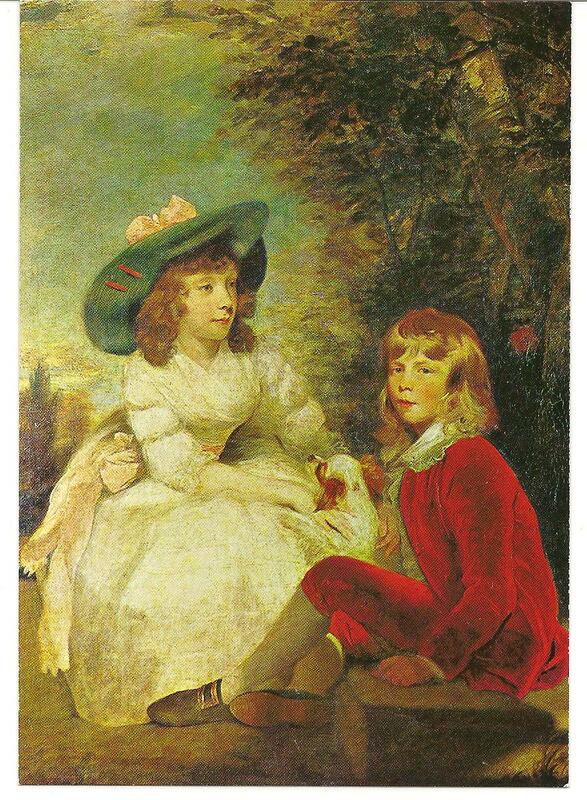 The whole body coloured rich red. 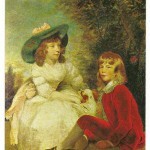 Rich chestnut and white markings on the body, with a white blaze dividing the markings on the head. 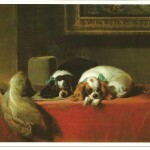 Black and white markings on the body, with a white blaze on the head and tan markings over the eyes, on the cheeks, inside the ears and legs. 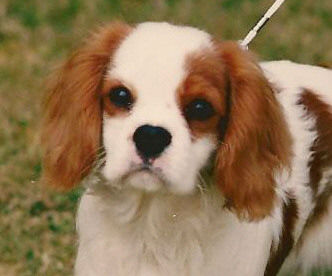 In both the above colours, any white markings are considered undesirable if the Cavalier is to be a show dog. 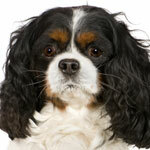 What is the difference between a Cavalier and a King Charles Spaniel? 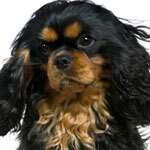 The simple answer is that Cavaliers have a muzzle and the King Charles have a very flat face. 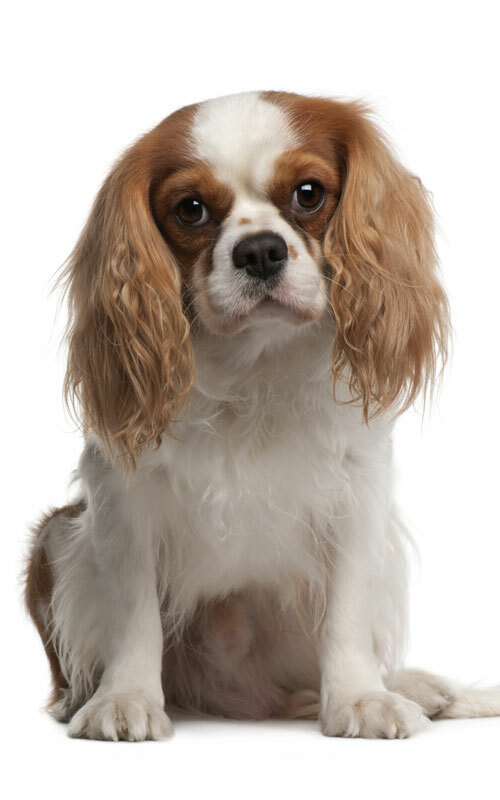 Cavalier King Charles Spaniels (sometimes incorrectly called King Charles Cavaliers) are a breed that was recreated from the flat faced King Charles Spaniel. In the 1920s an American Gentleman called Mr Roswell Eldridge was horrified to find that the only variety of toy spaniels being bred were those with flat noses. 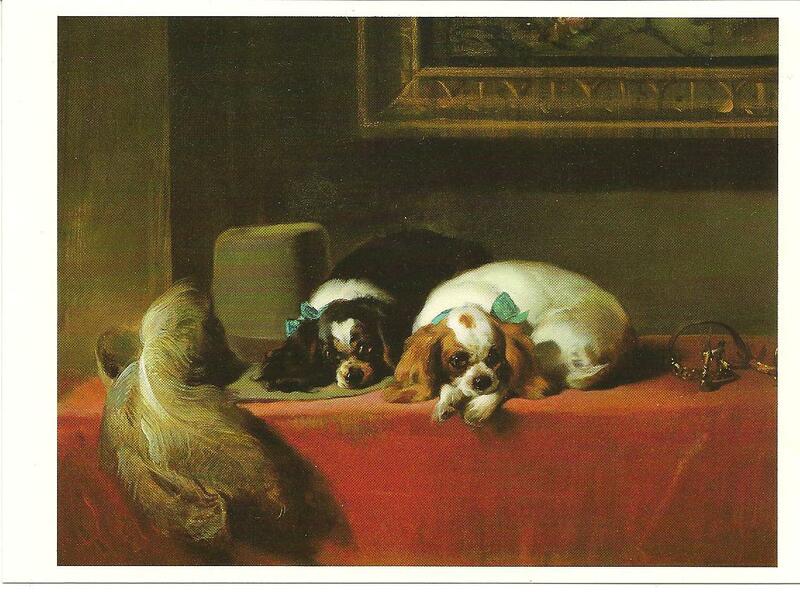 In 1926 he offered a cash prize of £25.00 at Crufts to the best “old type toy spaniel” and a handful of breeders took up the challenge to breed small dogs that looked like the nosey little spaniels shown in so many old paintings. 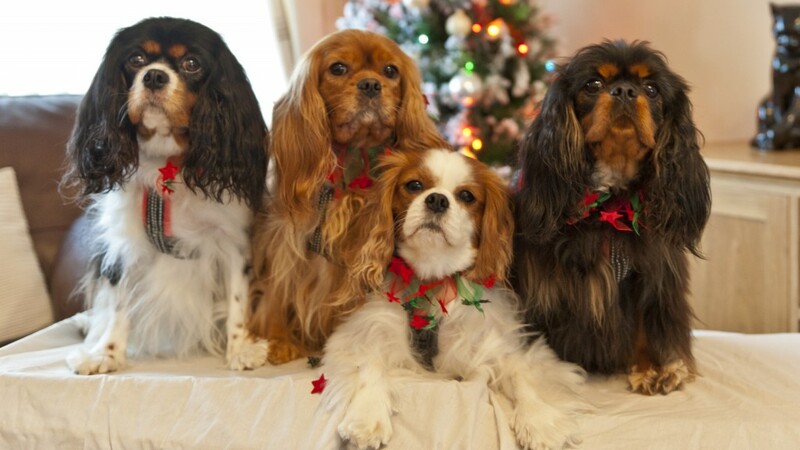 They were so successful that in 1945 the Kennel Club agreed to the separate registration of Cavalier King Charles Spaniels. 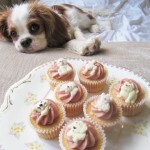 Since that time Cavaliers have become by far the more popular breed. You can read more about the differences between the two breeds here.